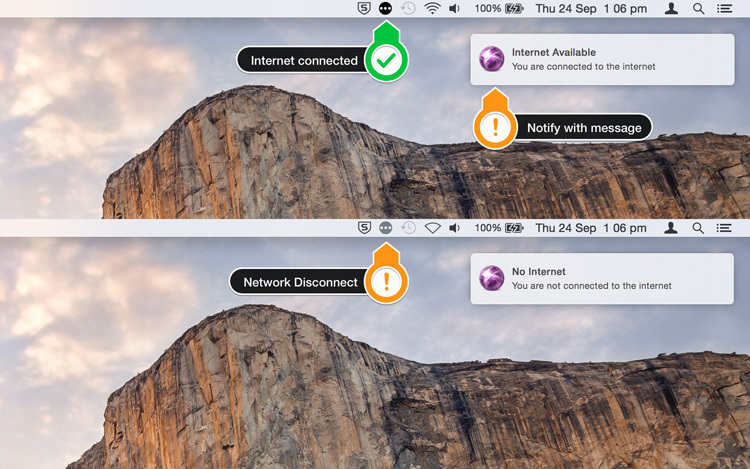 Internet status – Network connection status on your menu bar! 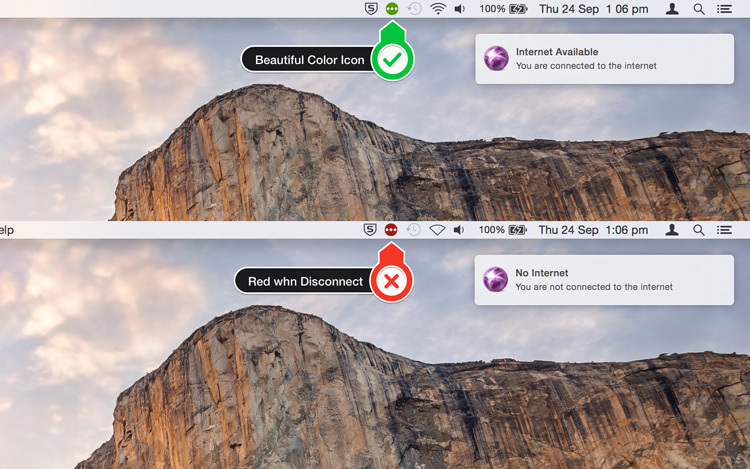 Now you can know the status of your Internet/Network connection right from the menu bar. 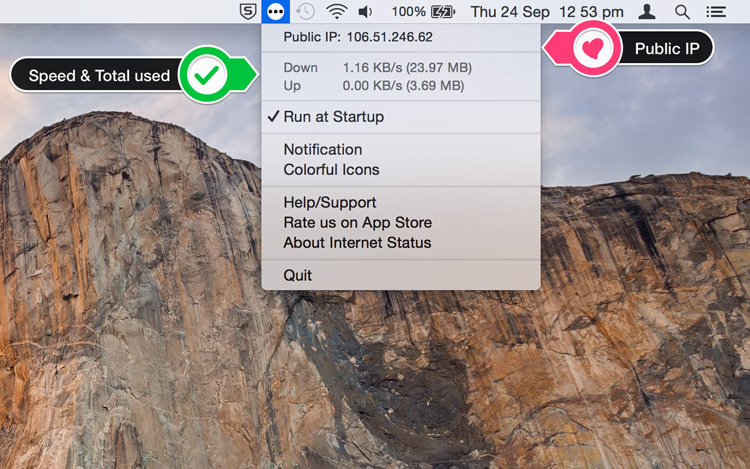 This utility adds a neat icon on the menu bar which lets you know the status of the connection and other stats like your IP address, upload and download speed etc.